One of my all-time favorite trilogies came to an end this week…and so did one of my manuscripts. I finished Take Me Yesterday, clocking in at 78,000 words. Of course, I have a few chapters/scenes I want to add during the editing process, so it’s not complete-complete, as no novel is after the first draft…or the second…or the third. That being said, I will be putting Take Me Yesterday aside for a minimum of a month between now and my first editing session. I think taking breaks between finishing a novel and editing a novel is important. It helps clear the brain and fine-tune your focus to edit rather than to write. I will say this though, for those who zoomed up and saw the last line or so, five characters die in Take Me Yesterday. Prepare yourselves. On a sort-of-related-not-really-but-yes-related note, it hit me that finishing this novel was my 10th novel. Granted, only five of them have gone to publication. (Let’s be real, most authors write numerous, TERRIBLE books before they start getting published. I’m not an exception. My first books make me cringe. It’s known as the apprenticeship time for a reason.) Still, weird. Not that numbers matter or anything like that. I have plenty of half-written manuscripts that will probably never be finished and plenty of ideas I’ll probably never see through, but I feel like I should bake a cake. This time, with two candles. This week’s #1lineWed preview was eyebrows, so here’s a sneak peek at Bad Bloods: Her smile was as small as the rest of her features, but then her raised eyebrows took over her expression. The Winner’s Kiss by Marie Rutkoski. I was lucky enough to get my copy one day early. Marie Rutkoski is the best, one of my favorite YA writers of all time, and the ending of The Winner’s Trilogy is perfection. The perfect ending to a brilliant, stunning, and heart-wrenching trilogy. Recommended to fans of high fantasy and lovers of romance, strong characters all around, and those who enjoy gorgeous prose. My favorite quote? He would lose her if he couldn’t do this. He didn’t trust her. He did not. Yet he understood that there are some things you feel and others that you choose to feel, and that the choice doesn’t make the feeling less valid. Read my full 5-star review by clicking here. I binge-watched The New Yorker Presents series via Amazon Prime. It’s really interesting and at times, hilarious, sad, maddening, and lovely. I definitely recommend it. I lived off of espresso and sandwiches this past week. It’s basically been a non-stop writing sessions, and as we all know, writing is fueled by coffee. Lots of coffee. Hot, cold, iced, espresso, Americano, sweetened, black, tall, venti, mocha chip latte coffee. Whatever your flavor, words will come. When I did finally finish writing, I took a day off and baked some lemon bars. For those of you who read The Timely Death Trilogy, then you know Eric Welborn is OBSESSED with lemon bars, specifically the ones his stepmom Mindy makes. Therefore, I channeled my inner Mindy Welborn and baked, baked, baked. Here is the recipe I used. Whatever matches my brand-new coffee mug. I’ve been dying to have one of David Olenick’s designs for awhile now, so when I gave myself permission to reward myself, I went after this little beauty of a coffee mug. (Fun fact: His designs also take up my computer’s home screen.) Check out David Olenick by clicking the link. If you like this design, it was done by one of my favorite artists, David Olenick at Society6. Here’s his page. I had a GIANT tabby cat, and my cat became so fat that he got stuck while trying to dig under my backyard fence. I was trying to get out while my bunny—yes, I had a bunny in this dream—tried to push me away from helping my cat. This bunny was huge. He was named Dumb Bunny, too. (Which I’m pretty sure was my aunt’s bunny’s name from a couple years back.) Nevertheless, I had my tabby cat, my dumb bunny, and a little white fluffy dog…and all of them were trying to tackle me while I was trying to help one of them…and a bunch of neighborhood kids were throwing a party under my house at the same time? I don’t know. Dreams are strange. I added a reading corner to my new office. This wonderful reading corner includes three giant stuffed dogs and a teddy bear…along with a KU blanket. This means there is a KU blanket in MU territory. I also moved my painted portrait of Bogart with Humphrey Bogart to my new office. It’s starting to feel like home. I’ll share more pictures soon, but I was lucky enough to capture Bogart admiring himself in his portrait. By far, my favorite painting in the world. My cat lady heart just can’t handle the cuteness. 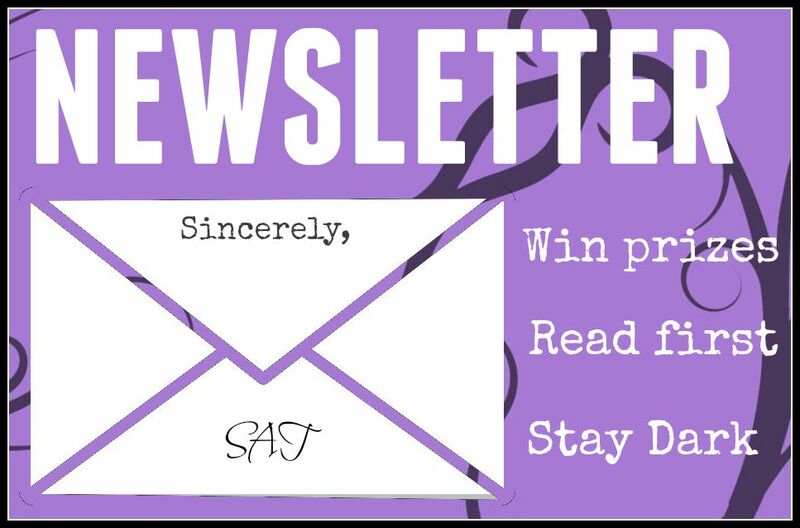 #SATurday Update: Hannibal, The Jewel, Penny Dreadful, Chocolate, and More. This week has been lots of fun! I actually went on another trip. This time, to Hannibal, Missouri—the hometown of Mark Twain. I went on a riverboat ride down the Mississippi, heard local folklore (like Lover’s Leap), took a tour through the Rockcliffe Mansion, and snuck in some wine and chocolate along the way (at Chocolate Stam). The wine I had was called the Cat’s Meow too, so that was a plus. Other than that, it’s been the year of sickness for me. I caught a cold somehow during my trip, so I’ve been traveling and dealing with sickness. Boo. But it’s been a great week. I have to be honest. I have not budged a lot from my last update, once again. This is mainly because I was traveling and sick. It’s rather funny, really. I normally have so many updates, which is why I started this, but since starting this, I haven’t had any. I promise that’s not like me, and I look forward to getting back into the swing of things. Still, just for fun, I participated in #1lineWed, and the theme was first line of your book, so here’s the opening line to November Snow: Vendona damned me to hell the day I was born, but no one had the guts to tell me. Also like my above post, I haven’t budged a lot. I’m still trying to recover/figure something out. I promise I’m trying though. I’m actually looking at turning November Snow into a series of some kind. I love trilogies, but I don’t want to be untrue to the story, so I’m letting it come to me and opening my mind/heart to it (as cheesy at that sounds). 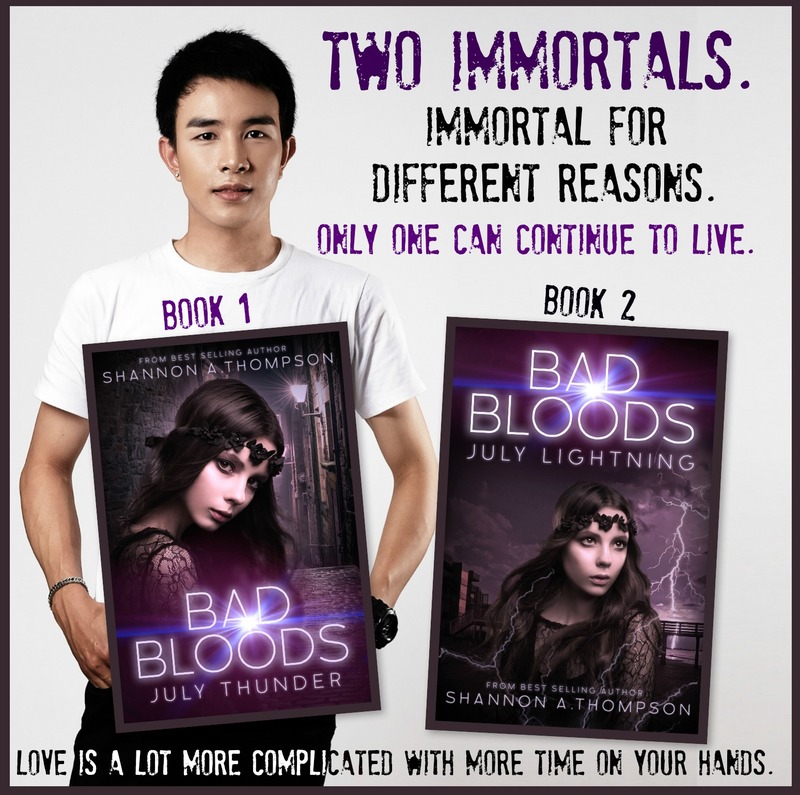 When I first wrote it, believe it or not, it was designed to be a 12-book series, hence why it was named after a specific month, but after writing a sequel and a third book (April Roses and July Thunder) that I didn’t like, it has haunted me ever since. But I’ve always wanted to release it with a series of short stories of all the side characters, so that’s a possibility I’m considering approaching with. Again, still trying to be true to my work, so it’s been a lot of sitting around, rolling around on the couch, dramatic sighing, and staring at the ceiling with an untouched notebook on the floor. My poor roommates. 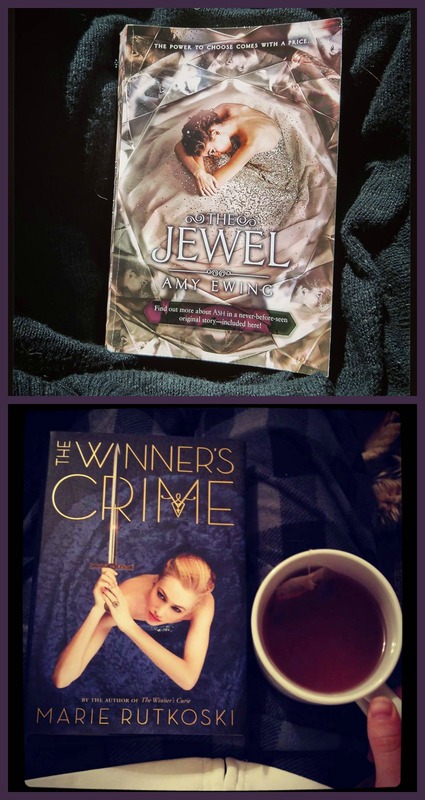 I just finished The Winner’s Crime by Marie Rutkoski, book 2 in The Winner Trilogy, one of my favorite trilogies by far, and you can read my full review here. If you haven’t checked out the first book, The Winner’s Curse, you can read my 5-star review of that here, but I recommend it to lovers of historical romance (with complications), especially to those who love tales of wit and war. I describe them both as magnificently written, seductively tense, and intellectually moving. During my road trip to Hannibal, I started (and finished) The Jewel by Amy Ewing. Definitely one of my new favorites. I could barely put it down. I cannot wait to read the sequel, The White Rose. And you can read my full review here. I found The Jewel to be fascinating, refreshing, daring, and even romantic at times. That being said, definitely not for everyone. Despite being categorized as young adult, it revolves around very adult themes. To sum it up, you’re looking at a futuristic story where young women are sold to be used as surrogates for the royal families against their will. On a side note, I also tweeted to the author and she tweeted me back. So, that’s a plus. I finished Two Years Eight Months and Twenty-Eight Nights by Salman Rushdie, and you can read my full four-star review here. Undeniably, it is a genius piece of magical realism for the literary readers out there. Recommended to readers of mythology, magical realism, philosophy, adult books bordering on fantasy, and to those who aren’t offended by religion being combined with satire. Must like long-winded, detailed passages, and be able to accept stretched reality. I’m reading the Reluctant Guardian by Melissa Cunningham still too! 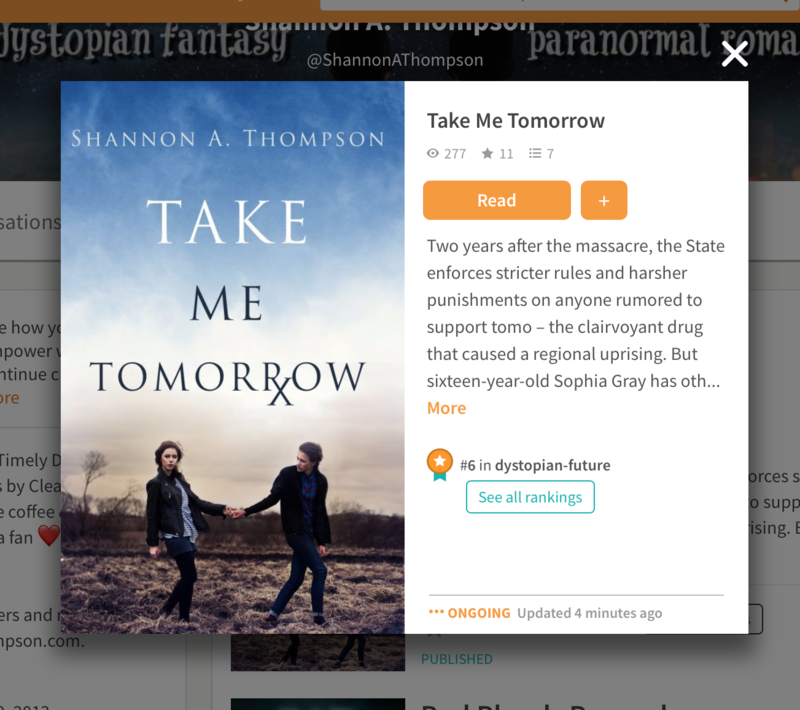 I’m 40% the way through it, but the reason I’m reading this one slower than the others is because it’s on my Kindle, and it’s really difficult for me to read on my Kindle. It hurts my eyes a lot, so I’m a paperback person. That being said, I love Reluctant Guardian, and I will give another update of it when I finish it. The Blackest Day by Lana Del Ray. It’s a song in her Honeymoon album, but there’s something about it I love to the bones. And some Pucifer, because I’m going to a Pucifer concert soon. I don’t have cable or any kind of TV in my house (yes, including NetFlix), so I rarely watch TV shows. That being said, someone lovely gifted me the second season of Penny Dreadful, so I’m watching that now. I so terribly wish I could watch American Horror Story, but alas, no cable. While I was traveling (and did have cable), I ended up watching too much of the Food Network, like Cutthroat Kitchen. I’ve never seen that before, not going to lie. It was kind of delightful. I also made time to watch Underworld, because it’s one of my favorites. 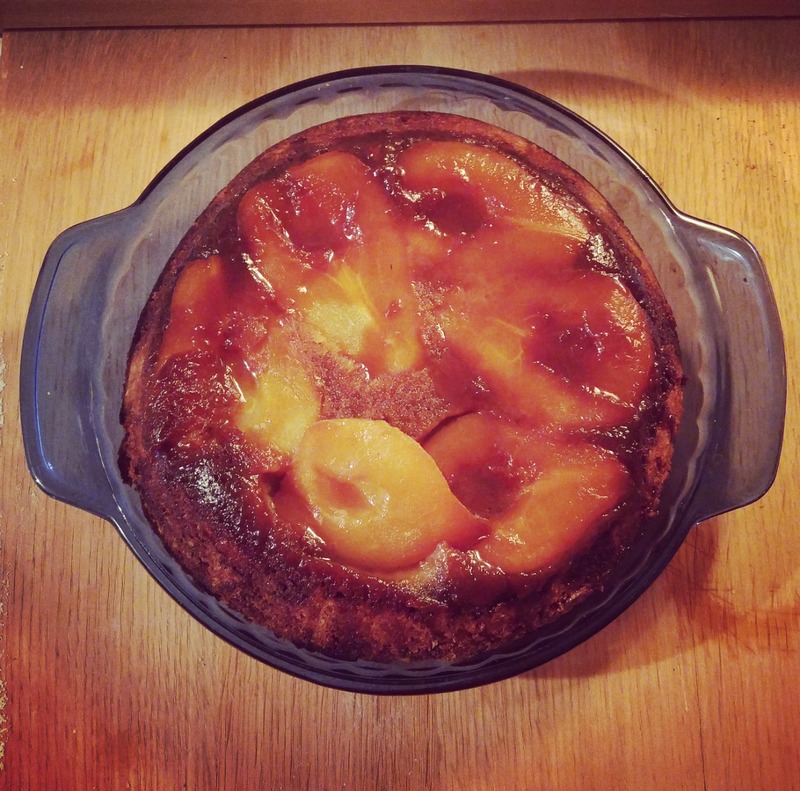 I baked a Spiced Pear Upside-Down Cake, an awesome recipe I got out of bon appetite magazine. Granted, I made some changes. I used just molasses instead of pomegranate molasses, lemon instead of orange, and downsized the recipe to fit the pan I had. I also didn’t put additional molasses on top. It’s a fantastic, not-too-sweet fall dessert. My hair in a side braid. It did not work out well. The White Rose by Amy Ewing: I need it right meow. The first book in the Lone City series was too good, and I am dying to get my hands on the sequel a.s.a.p. The Winner’s Kiss by Marie Rutkoski: Another series that I NEED the next book in, but unlike The White Rose, The Winner’s Kiss doesn’t release until March of 2016. WHY? WHYYY? I also had a genesis fairy tale type dream, where a speaker was explaining why this man had treated this woman one way and not another. He had teased her and ignored her and led her on for years and years of heartbreak, but upon hearing of her terrible (and violent end), he died on the spot. There wasn’t much to say about it, other than the speaker explained that outsiders used to believe this was a story of love loved wrong, a lesson of love, but in the reality of those people who had this tale in their people’s past, it was a lesson of guilt. I now have a brand-new cell phone, which is awesome! I love it so far. I’m prepping for the Halloween book signing on October 21, so check out the information about that below in my announcements! I first want to thank Instagram’s @bookprints for sharing her Timely Death story. Read it here. Feel free to always tag me in your social media posts, everyone! Hearing from you makes my day and night. 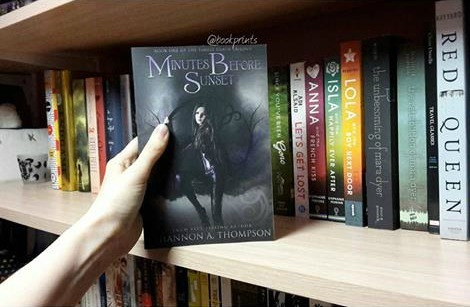 The paperback of Death Before Daylight releases this Monday, on October 19! Two days later, on October 21, you can come see me at Headrush Coffee and Tea Roasters in Kansas City, Missouri for a paranormal talk and book signing. In other news, a few of you have asked me about my services since NaNoWriMo is about to take place. I am taking on new clients, so please feel free to email me at shannonathompson@aol.com. Since I haven’t shared/updated in a while, I thought I’d share some recent books I’ve worked with. 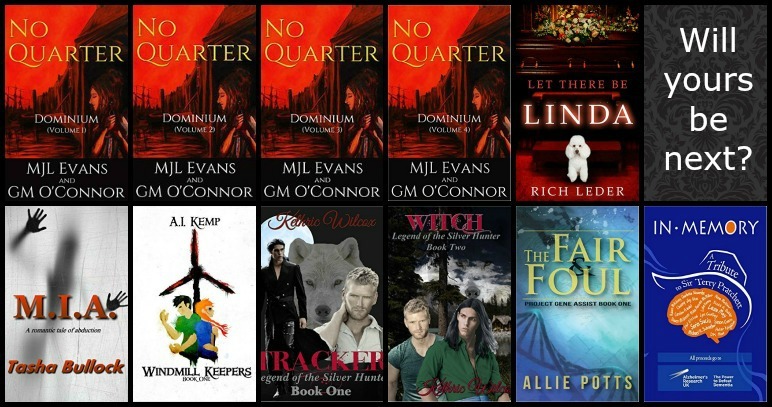 You’ll now find them on my Services page and my Reviews page. Most recent books I’ve worked with.